Is Maine’s anti-drug bill good politics but bad medicine? A nurse dispenses methadone pills at CAP Quality Care in Westbrook on March 13, 2015. AUGUSTA, Maine — Much of the Maine Legislature’s recent debate around the state’s drug crisis has involved a proposal billed as being “comprehensive,” boosting the number of drug agents and increasing treatment and education. The $3.7 million bill sailed through the Maine Senate and House on Tuesday and was signed into law later that day by Republican Gov. Paul LePage, who had initially issued a veto threat. The bill was designed to pass quickly, but it has drawn criticism from experts, who say it won’t do much to stem addiction and it would be a small increase in the state’s spending on drug treatment and prevention, which the LePage administration pegged at $76 million in 2014. But the Legislature will debate thornier issues — including medication-assisted treatment and Medicaid expansion — that have cropped up across the country and could have a bigger impact. The “comprehensive” bill was crafted to be politically popular, but it could be ineffective policy-wise. The bill came after the Republican governor’s November renewal of a threat to call out the Maine National Guard to fight the drug crisis if lawmakers didn’t approve funding to hire 10 more state drug agents. He used that threat as a political bludgeon until three minutes before Senate President Mike Thibodeau, R-Winterport, House Speaker Mark Eves, D-North Berwick, and Senate Minority Leader Justin Alfond, D-Portland, held a news conference to announce their plan. That’s when LePage issued a release saying he signed a financial order to support the short-term hiring of the agents. But the leaders proceeded with their plan, which was split between funding agents and supporting a detox facility in the Bangor area, expanding services for uninsured Mainers, supporting recovery centers and helping jails and police expand treatment services. The legislators’ proposal received wide support at a public hearing earlier this month from police and advocates who said more treatment options are needed, but some indicated that the amount of money allocated wasn’t enough. Dr. Mark Publicker, an addiction specialist at the now-shuttered Mercy Recovery Center in Westbrook, said before the bill was signed into law that too much in the bill “sounds nice,” but he faulted it for not supporting medication-assisted treatment, including that which uses drugs — including methadone and Suboxone — to manage withdrawal symptoms and support recovery. But that’s a nod to the tricky politics of addiction in Maine and the U.S., and the Legislature will have debates over tougher issues. Medication-assisted treatment is backed by science, but it’s politically dicey, and it isn’t addressed in the bill because of its divisiveness. Resistance to medication-assisted treatment is hurting those addicted to drugs in many states, according to The Pew Charitable Trusts, and a recent Johns Hopkins University study said only a fifth of people who could benefit from treatment are getting it. 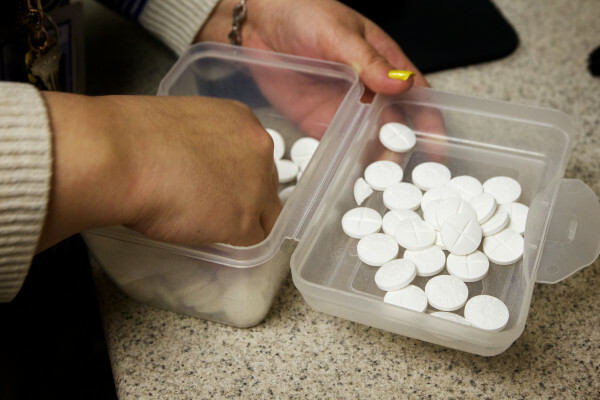 The LePage administration proposed eliminating state money for methadone treatment in its 2015 budget proposal to prioritize Suboxone, a move that was criticized by advocates and rejected by lawmakers. Earlier this year, advocates were puzzled when the administration turned down an opportunity for a federal grant supporting treatment. Methadone treatment rates under MaineCare, the state’s version of Medicaid, the federal low-income health care program, have also dropped since 2010 — going from $80 per week to $60 now — even though the Maine Department of Health and Human Services pegged its out-of-pocket cost at $90 per week in March. Mercy’s center cited the rate decreases as a reason for closing. This year, a bill from Sen. David Woodsome, R-North Waterboro, would set those rates back at 2010 levels. Sponsors of a bill to expand Medicaid under the Affordable Care Act — which LePage has vetoed five times, citing the potential for massive future costs, and has vowed to again — are pitching it as a way to fight addiction. Mary Mayhew, LePage’s DHHS commissioner, said her office will do a rate review on methadone and other MaineCare rates that will be ready later this year and said while the rate may be too low, the closure of centers was more complex than the rate issue. “You have anecdotal data and we’ve got to make sure we’ve got comprehensive data to inform the prioritization of limited resources,” she said in an interview last week.